Abbas et al. studied 2,759 post-menopausal women in Germany, aged 50-74 years old at the German Cancer Research Center in Heidelberg, Germany using participants in the MARIE population study. 1,395 cases of women with breast cancer were matched with 1,365 controls. 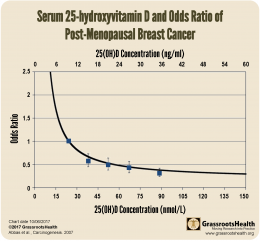 Researchers found a distinct correlation between vitamin D levels and breast cancer risk. Figure 1 from their paper is above. 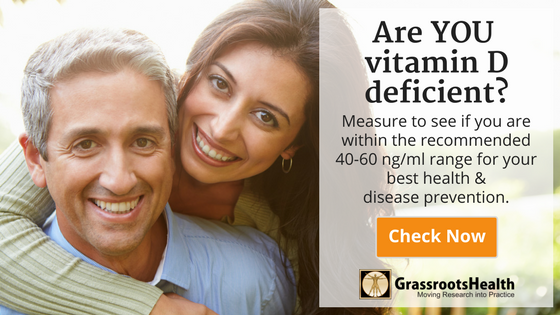 Notice it is strikingly similar to the cancer chart from 2016 a GrassrootsHealth paper, reporting a 71% reduction in all cancer risk for post-menopausal women in the range of 20-40 ng/ml (50-100 nmol/L). 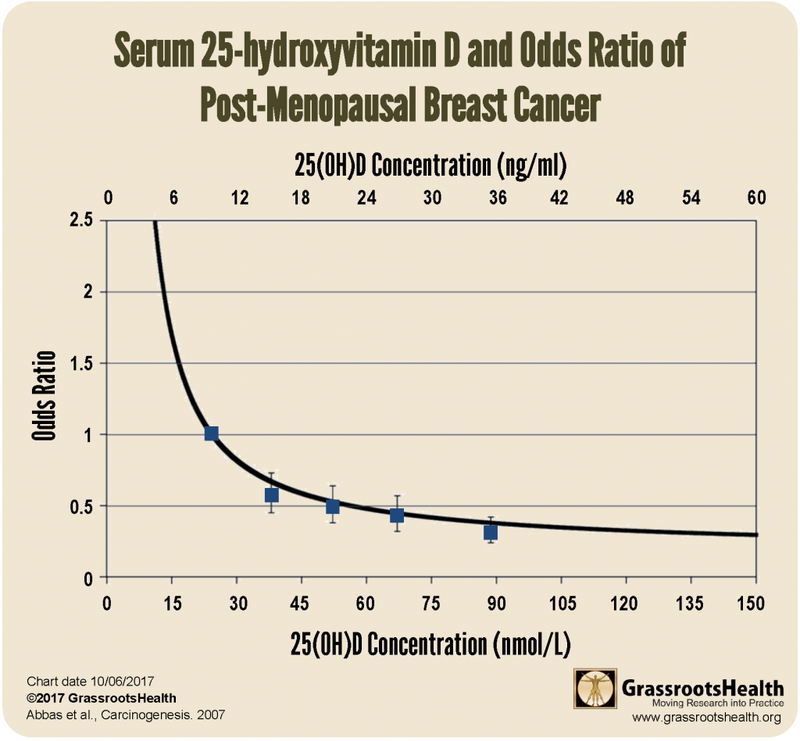 25(OH)D levels greater than or equal to 30 ng/ml had an almost 70% reduced risk of post-menopausal breast cancer compared to those with levels less than 12 ng/ml.